If your drone weighs more than 250 grams, airlines and pilots think you should get a drone pilots' license before you fly it in the European Union. They're worried about the number of near misses between drones and helicopters or fixed-wing aircraft, and they see greater regulation of drone use as the best way to improve safety. 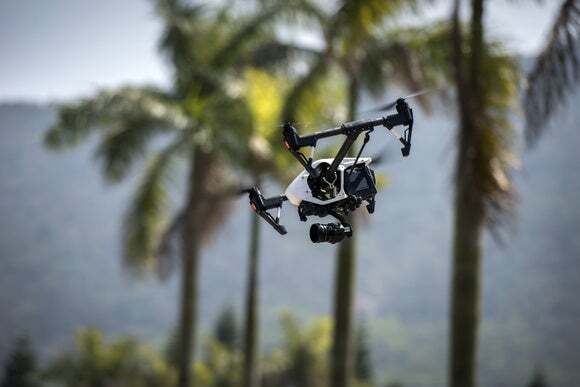 They also want more tests to be conducted to determine the damage that drones may cause to manned aircraft, much as is already done to reduce the threat of bird strikes. In a letter signed by 10 international associations for airlines, pilots, airports, and other organizations, they make little distinction between commercial and leisure uses of drones. All drones should be registered at the time of purchase or resale, they said, because knowing the devices can be traced is likely to make pilots behave more responsibly. But registration is not enough, they said. It's impossible for drone pilots to fly safely, in compliance with regulations on no-fly zones, altitude restrictions and the like, if they don't know the rules. That's why they want training and certification to be mandatory for anyone piloting devices weighing more than 250 grams or flying them more than 50 meters from the pilot. Lighter drones that stay close to the pilot can be considered harmless because they are less likely to hit or fall on a bystander, the associations wrote. Other things could also be done to improve safety, they said. For example, drones could be programmed to respect no-fly zones automatically through the use of geofencing techniques. And drone use could be subjected to the same national regulations as already apply to the flying of model aircraft, which are typically confined to safe areas. The associations' call won't fall on deaf ears. Last month, the European Aircraft Safety Agency published a draft of how it would like to regulate drone flights in the EU. Its prototype regulation is being debated by the EU's three lawmaking bodies, the Commission, Parliament, and Council. It includes proposals for geofencing, and for the registration of drones and the licensing of pilots. The agency hopes a new regulation will be ready by year-end.